The Pearl T2000 double tom stand has 2 Pearl TH-2000S Uni-Lock tom holders and 2 axe-38 adjustable 3-hole quick-release clamps. New pipe joint with stop lock and no-rattle upper tube. Parallel double-braced legs with stop lock, rubber tips, and UltraGrip wing nuts/wing bolts. 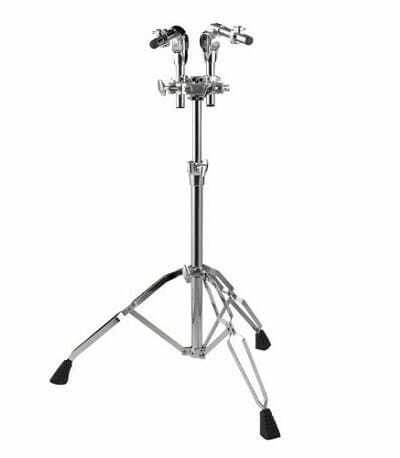 T 2000 Double Tom Stand from Pearl is 100% original and brand new. We, at Melody House take pride in our after sales service and support. For further details on the t 2000 double tom stand, Pearl, simply write to us to consult an expert or order online and we will take care of the rest. Happy Shopping!